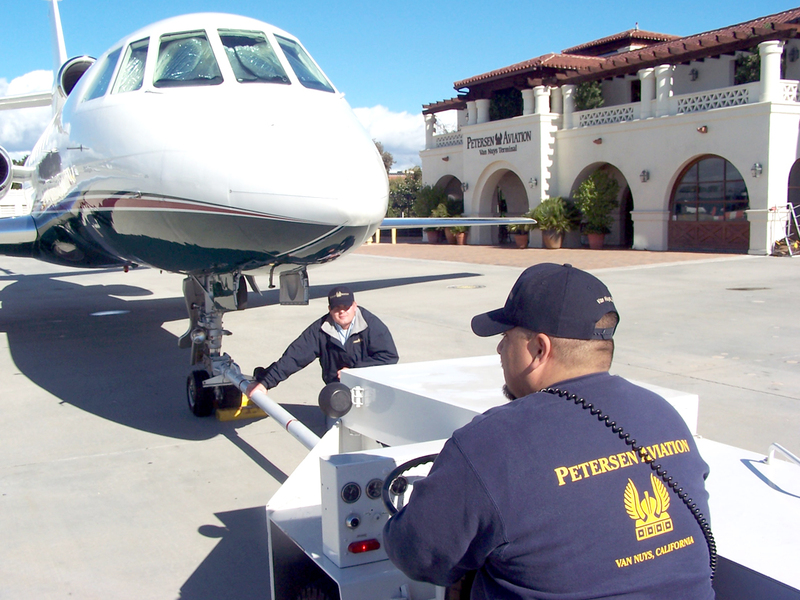 Orlando Gutierrez, line technician on aircraft tug vehicle, and Mike Olson, line technician at the aircraft tow bar, at Petersen Aviation. 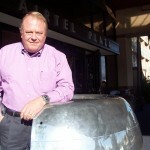 James Dunn, president and CEO of Airtel Plaza Hotel, at the entrance to his hotel. 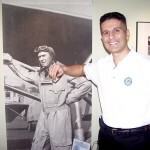 Farid Azad, CFI and general manager of Hollywood Aviators, with a standup of Jimmy Stewart. 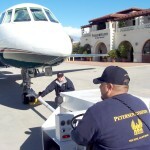 Robert Petersen, president and CEO of Petersen Aviation. 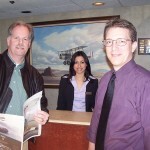 Tom Magglos, general manager, Petersen Aviation, and Christine Elwess, FBO manager. Shawna Shelz, customer service representative, Petersen Aviation, greets pilots as they sign in. Roger Collins, president, Sierra Construction Co., and James Carleton, special projects manager, AHBL, check in with Marsha Vergara, customer service representative, Clay Lacy Aviation. 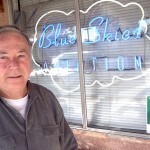 Dave Kirkendall, founder and owner of Blue Skies Aviation. John Bouzos, sales manager, San-Val, Alvaro Morro, assistant sales manager, and Nick Melliwa, clerk, welcome customers to their pilot supply & model trains shop.